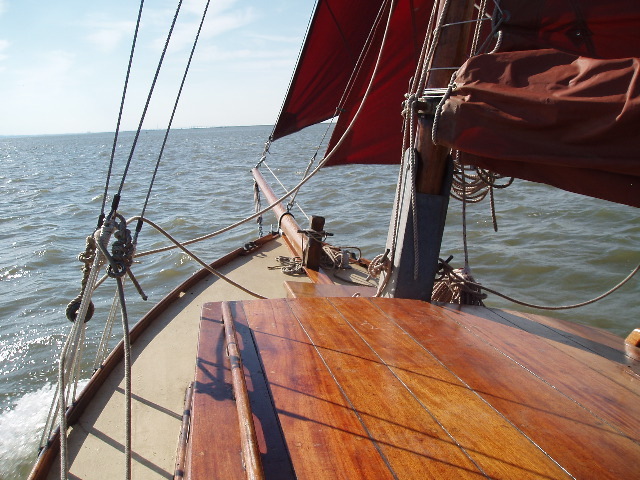 ‘The wind was perfect, the sun shone, the tide was right and everything was set for Dorma’s first proper outing. ‘We had taken her out once before, briefly, and had to return early when the bobstay parted; that’s what a shakedown is about, after all. 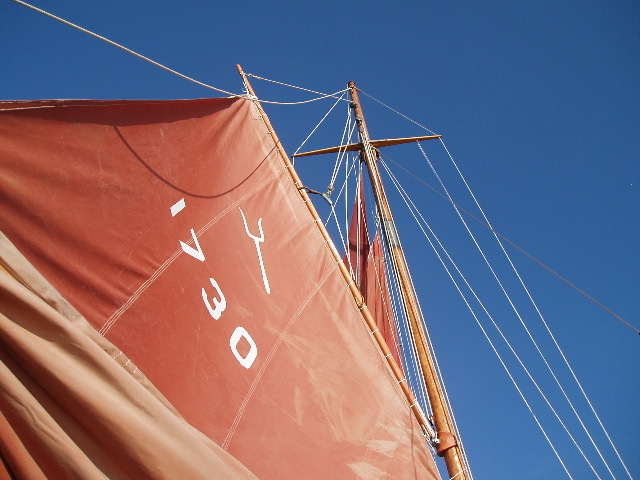 Repairs and improvements completed, we awaited everything to be in place for a proper first sail. ‘When the day came, the engine took us down to the Swale, by which time we had raised the main; the jib and stays’l took over from the engine – and the suddenly quiet was shattering. Now I know why people hated those diesels thirty years ago. ‘We left a reef in until we had the feel of her; it was four gusting five and we wanted to stretch her gently, especially after our first experience. 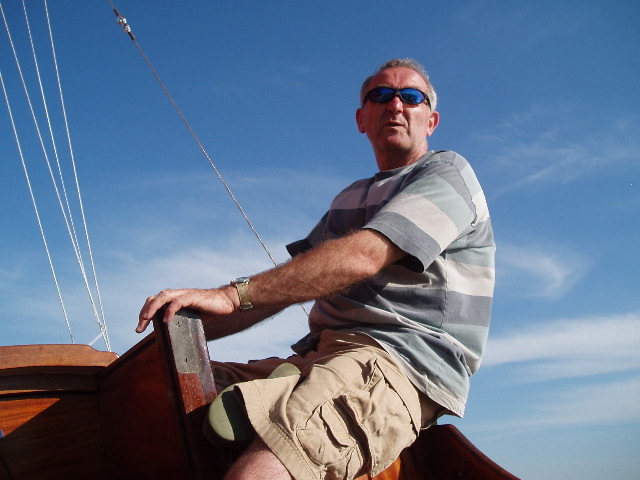 ‘I knew something was afoot when I trundled into the inner sanctum known to some as Alan’s Community Center, for Retired Shipwrights, Dockyard Mateys and Associated Layabouts, and saw him and Peter look up, saying ’just the man…d’you fancy sailing in the Swale Match in me dinghy? ‘”Yes,” says I, without thinking. 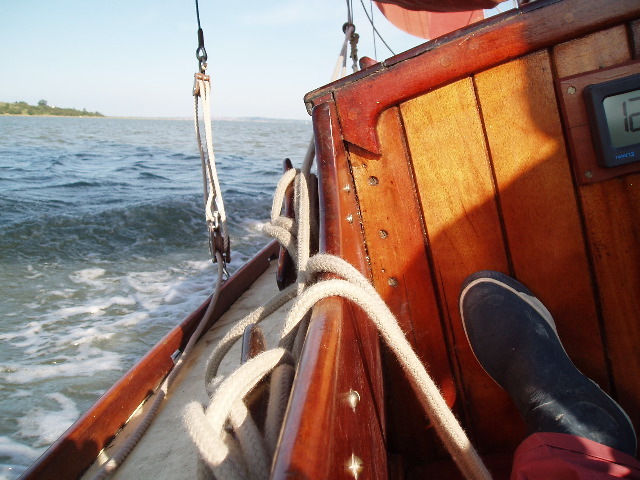 ‘The boat is a 10-ft lug rigged clinker job, so there I was, on my own, in a dinghy I had never rigged, let alone sailed, heading for the line for a race against four 16-ft fully crewed gaff-rigged dayboats. This is a busy weblog, and what you're looking for is probably still here - just a little way down the list now. Try scrolling down, clicking on the 'older posts' button at the bottom of this page - or try the search gadget! Classic Boat Awards: time to vote!